Lizard Squad, which is a hacker group responsible for the Xbox Live and Playstation Network hack on the Christmas Day 2014 and then they tried to sell the promote the same tool which they said- was used to take down the gaming platforms. Now, the same hacker group has been hacked, someone able to access the customer database for LizardStresser, which is the tool used to hack Sony and Xbox, group also promoted the tool after the hack, and also used the same tool for different hacks. The Security Researcher named Brian Krebs, is the one who reported first about this Hackers’ Hack, he didn’t tell much about the hack or the documents in which LizardStresser’s registered customer information is available. After the Christmas Hack of the Lizard Squad, the hacker group announces to hack a website from the same tool for just $6. How the Hackers’ Tool works? Group hacked different machines, which is then used to take down websites from the command of Lizard Squad, and that’s why it is never difficult for the group to take down any loose security website or one which is not using a DDoS Safety Techniques. 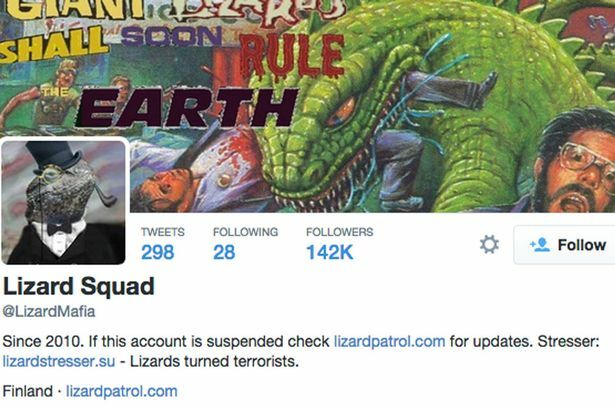 This is a second setback for the Lizard Squad, as a teenager was arrested on Friday in connection with the hack on Christmas. All of the login details for users were stored in plain text, Krebs claimed, which means that they can be read easily if the database is found. The documents show that the tool attracted “more than 14,241 registered users, but only a few hundred appear to have funded accounts at the service”, Krebs claims. But paying customers deposited more than $11,000 in bitcoins with the group, he said.